The expertise of ASC specialists has supported organizations including (in no special order): The RAND Corporation • Urban Land Institute • Harvard International Relations Council • Johns Hopkins University • US Senate • US Department of Defense • Congressional Research Service • US National Academy of Sciences • Emory University • Catholic University of America • Catholic University of Lovaine, Belgium • The University of East Anglia • Hoover Institution on War, Revolution & Peace, Stanford University • Institute for Advanced Study, Princeton • US Commerce Department • University of Moratuwa, Sri Lanka • US Department of Housing & Urban Development • US Department of Health & Human Services • US Department of Transportation • US Department of Agriculture • US Food & Drug Administration • US Centers for Disease Control • US Department of Education • US Department of Labor • US Coast Guard, and more. 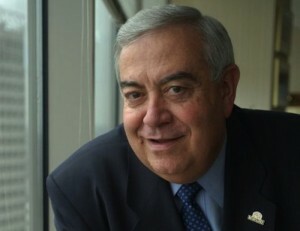 The ArMel Scientifics Center for Technology & Public Policy is chaired by The Honorable Aris Melissaratos, 2003-2007 Secretary of Business and Economic Development of Maryland and 2007-2013 Director of Johns Hopkins University’s Technology Enterprise, in which capacity he advised two consecutive JHU presidents on technology commercialization. He is currently Interim Dean, Brown School of Business & Leadership, Stevenson University, Maryland. He has also been Executive in Residence at the JHU (Carey) Business School. He holds a B.Sc. in engineering (Johns Hopkins) and an M.Sc. in engineering management (George Washington), with graduate scholarship at Harvard (management) and Catholic University of America. (international relations). He joined Westinghouse Electric Corporation in 1966, becoming Chief Operating Officer for defense electronics and aerospace, with oversight of technology development, design, engineering and manufacturing throughout the US, Puerto Rico, Mexico and Barbados, managing some 16 000 employees and a $3.2 billion annual revenue portfolio. He ended his 32-year relationship with Westinghouse as Vice President of Science and Technology and Chief Technology Officer directing research and development and managing the Science and Technology Center at Westinghouse's corporate headquarters in Pittsburgh. In 1998, following Westinghouse’s purchase of CBS Television, Mr. Melissaratos became Thermo Electron Corporation’s Vice President of Research and Development as well as CEO of Coleman Research Corporation, Thermo Coleman Corporation and Thermo Information Solutions. In 2001 he left these posts and focused full-time on his private technology venture capital companies, the Armel Development Corporation, Armel Scientifics LLC, and Armel Capital Management LP, which invested in over 40 technology ventures. Mr. Melissaratos is founder of The Aris Institute, which promotes networking among technology entrepreneurs.